Heavens, two years until the war's end? Less than that; less than that dear. 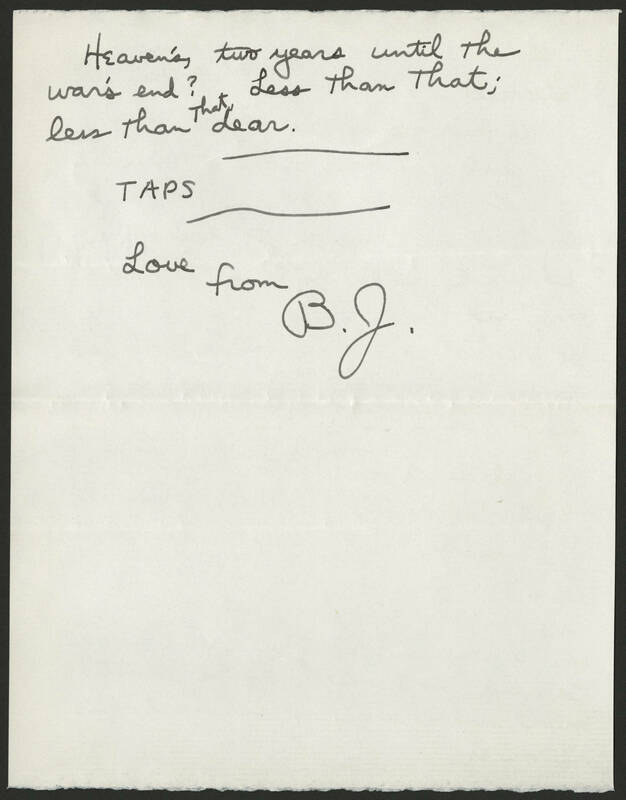 TAPS Love from B.J.